Free cancellation until 14days before group arrival. After that limit and until 4 days before arival , the Hotel reserves the right for refund until 50% of paid amounts. Within the 4 last days beofre arrival, no refund of paid amounts. Extra beds need for confirmation form the Hotel and are not commissionable. Only on direct deal. 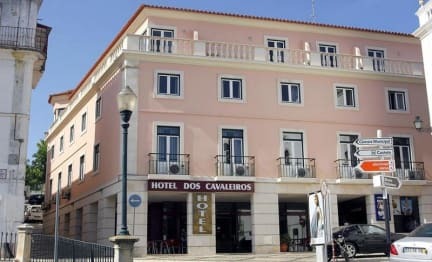 Hotel dos Cavaleiros is a 3*** hotel is the ideal place for a holiday break to visit the local attractions, as Fátima, Tomar, Nazaré, Óbidos, Alcobaça, Batalha or for the business person to take advantage of the business facilities and accommodation. Hotel dos Cavaleiros is a family run hotel, located in the charming heart of the historical center of Torres Novas. 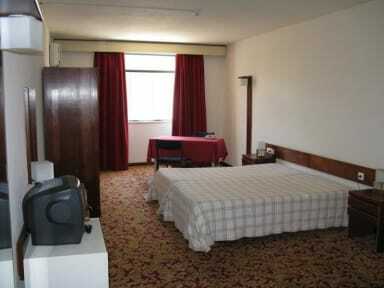 We have 60 rooms, all are fully equipped and have private bathroom, telephone, radio, television and climate control. The hotel further has a full restaurant, lobby bar/lounge area, garage parking and conference facilities, as well as a Cinema Theatre. It is located at 25 Km from Fátima, a 60 Km from Nazaré and next to World Heritage triangle in Portugal of Alcobaça/Batalha-Tomar-Obidos.